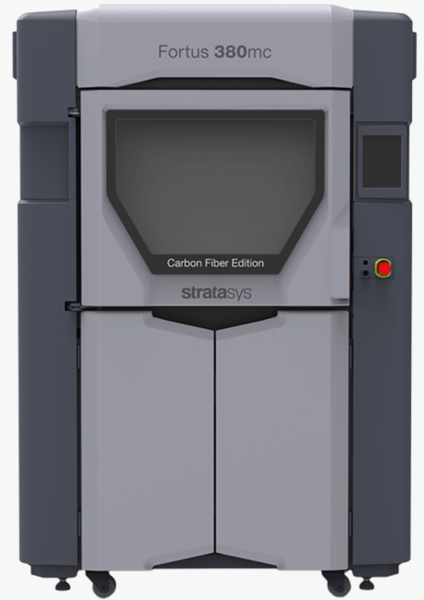 If you are after strong and reliable parts suited for tough applications, then look no further than the new Stratasys Fortus 380 Carbon Fiber edition. The new addition to the Stratasys Productin Range of 3D printers prints in both Carbon Fiber and ASA. With the Fortus 380 CF you are able to get the production-level capability and reliability at a fraction of the cost of a capability-limited or maker system. The Fortus 380CF was designed to print soley in the ultra-strong Carbon Fibre material, however this is only when you require the stiffness and strength of CF. For the less demanding applications such as rapid prototyping, concept verification or any other job that doesn’t require carbon fiber, use ASA. Both of these materials are compatible with soluble support for fast, hands-free removal of support material.